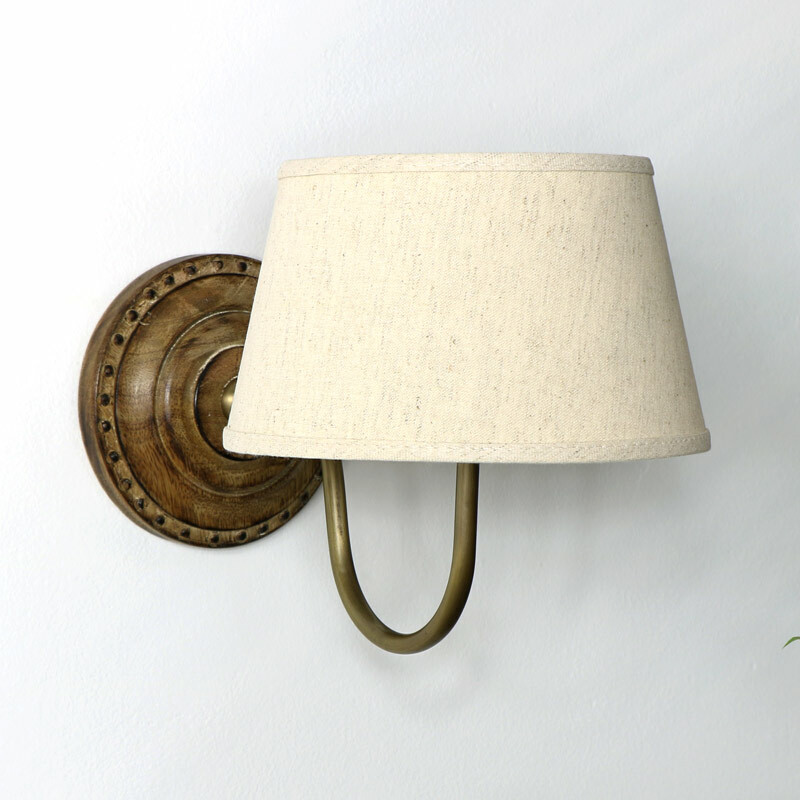 Beautifully rustic sconce style wall light. Rustic wooden backplate with brass arm and tapered beige linen shade. Perfect for the retro, rustic country lodge home decor. Vintage lighting for the living room or hallway. Great for use singly or pair up for extra lighting. With even more sconce style wall lights to choose from. 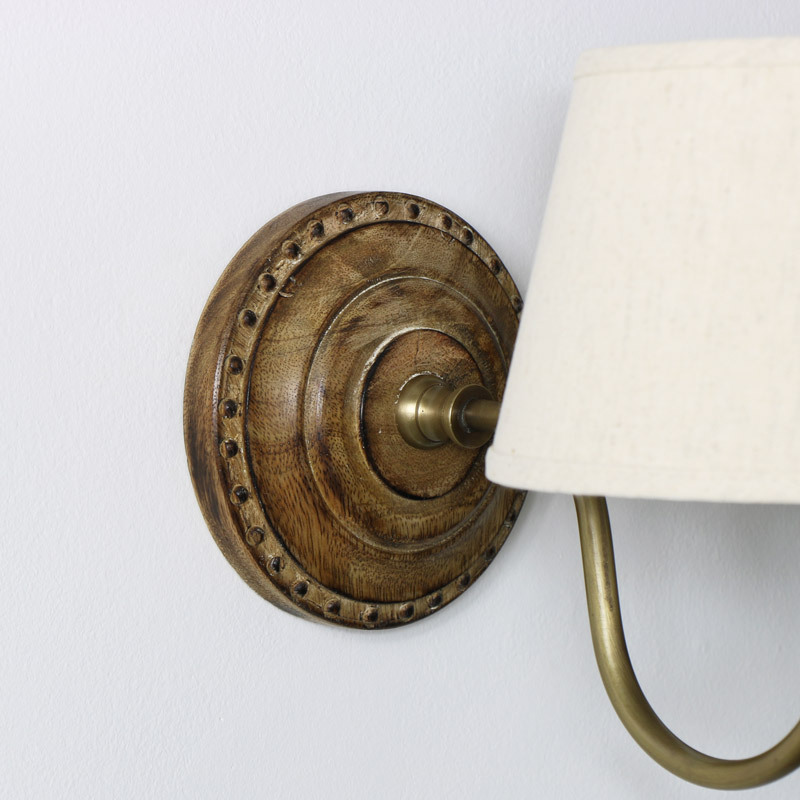 Beautifully rustic sconce style wall light. Rustic wooden backplate with brass arm and tapered beige linen shade. Perfect for the retro, rustic country lodge home decor. Vintage lighting for the living room or hallway. Great for use singly or pair up for extra lighting. With even more sconce style wall lights to choose from.